Incredibly talented worshiper, inspirational singer & song writer, Thelma Benson releases her debut new singles “Nobody Pass You God & Only You”. Both songs are produced by Olaitan Dada. Thelma is a member of the choir at “House on The Rock”, Lagos under the music direction of Wilson Joel through which she got to back up for international award winning Gospel artist Donnie McClurkin at the Largest Gospel music concert “The Experience Lagos”. Nobody Pass You God & Only You loudly proclaims the greatness and steadfastness of God, affirming his supremacy above all. “Nobody Pass You God” is an infectious upbeat song that will soon have everyone dancing to the glory of God. “Only You” is an intense worship song expressing honour and praise to the most-high God. 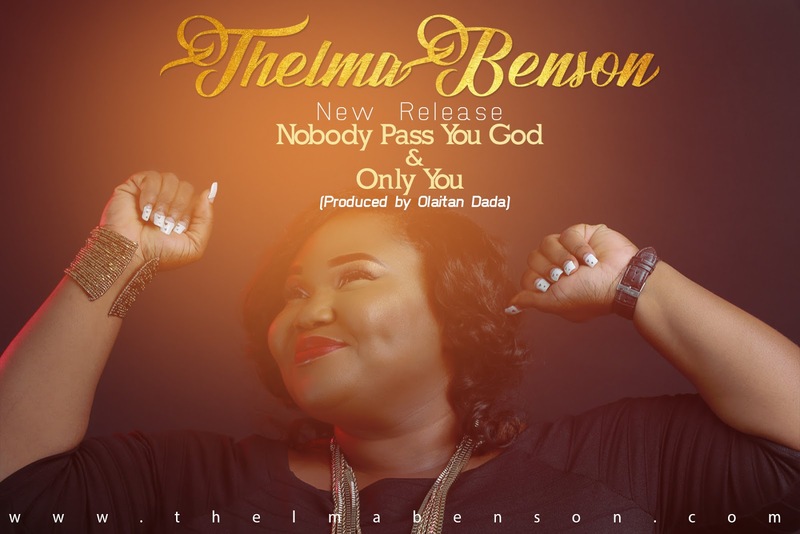 Nobody Pass You God & Only You is available on www.thelmabenson.com and other online platforms. Ecclesiastes 3:11 - "He makes all things beautiful in His time."